Q .What makes the IIMTF so special ? Ans. The India International Mega Trade Fair (IIMTF) is our flagship Fair. The Fair has the valuable support of The Ministry of MSME, NSIC, EPCH, etc. Apart from this, we jointly organize this Fair with The Bengal Chamber of Commerce & Industry, which is the oldest (since 1833 i.e. 185 years old) and one of the most respected institutions in India. We jointly organize this Fair with IEML in Greater Noida, with The Utkal Chamber of Commerce in Bhubaneswar and with the Vizagapatam Chamber of Commerce in Visakhapatnam, all leaders in their respective fields. Q. How many Fairs is G S Marketing Associates organizing in the year 2018 – 19 ? Ans. In all, we are organizing eight Fairs this year. We are organizing the India International Mega Trade Fair (IIMTF) in Greater Noida (17-27 Aug 2018), Kolkata (14-25 Dec, 2018), Bhubaneswar (18-28 Jan, 2019) and Visakhapatnam (15-25 Feb, 2019). The third Fitexpo will be held in Kolkata (7-9 Dec, 2018). Q. What is the change that we can expect to see in the Annual Fair Program of G S Marketing Associates this year ? Ans. Apart from the IIMTF, this year, we are organizing three new Fairs called : The India International Kolkata Trade Fair or IIKTF (1-11 June, 2018), The India International Patna Trade Fair or IIPTF (14-24 September, 2018) and the India International Siliguri Trade Fair or IISTF (28th September-8th October, 2018). We are very enthusiastic that we will get a very good response from the people of these cities towards our new Fairs. As usual, all our Fairs will be jointly organized with The Bengal Chamber of Commerce & Industry. The IIKTF has been already very successfully organized in Central Park in Salt Lake, Kolkata. Q. Are there any new changes that you would like to infuse in the IIMTF this year ? Ans. Apart from the many countries which are already participating in the IIMTF, we are trying to get many more countries to participate in our Fairs. I have personally visited some countries and I am confident that this year, we will have many more unique products on display in our Fairs from newer countries, which will make our Fair a wonderful destination for the visitors who come from India and abroad, not just for shopping, but also to do good business with the participants. Q. What are the reasons behind the meteoric rise in the success of this Fair ? Ans. The Fair’s success is definitely due to the continued support of our valued participants, many of whom have participated in all our Fairs for the past several years. Apart from this, the people of the cities in which the IIMTF was held have come in huge numbers, made lots of purchases, clinched business deals etc. It is the trust of both the participants and the visitors in us, that has helped us come this far, for which, we are very grateful. Q. How many Fairs has G S Marketing Associates organized since its inception ? Ans. 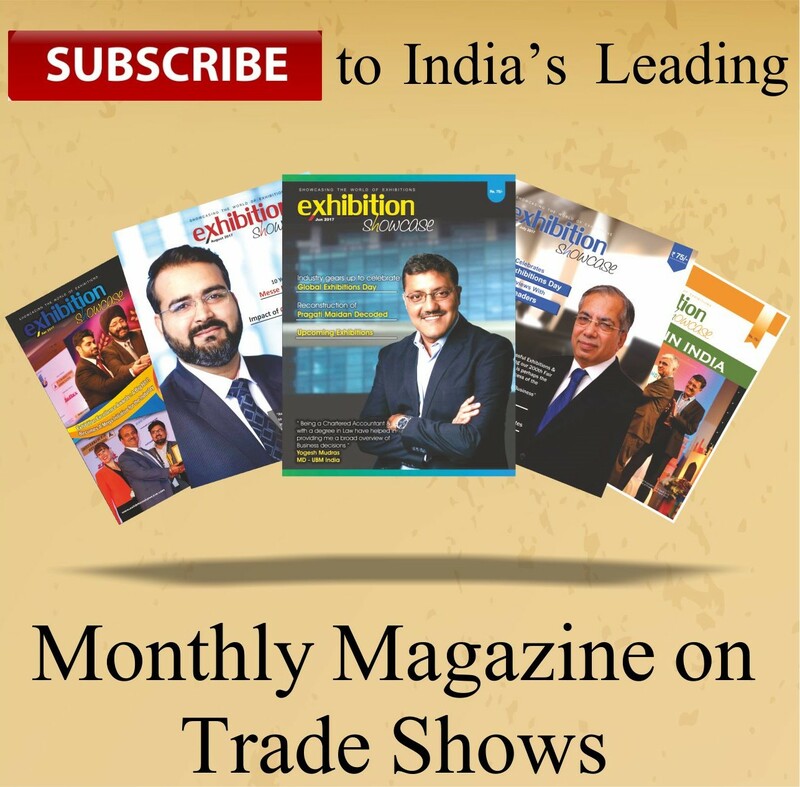 Till date, we have organized 204 exhibitions and Trade Fairs in various cities of India. Q. G S Marketing Associates will be organizing the IIMTF for the second time in Greater Noida, What are the new changes that you expect will happen in this year’s Fair ? Ans. Since, the Metro Rail is expected to start in Greater Noida by July, 2018, we are very enthusiastic of getting a bigger and better response from the people of New Delhi, Noida, Gurgaon, Ghaziabad, Faridabad and of course mainly from Greater Noida. Our joint organizers : The Bengal Chamber and IEML also feel the same way. Q. Your work related travels have taken you to many distant countries, please tell us some interesting anecdotes about certain incidents or people you may have come across. Ans. Yes indeed, my travels have taken me to many distant lands and I have met some wonderful people. One of the most significant among them is Mr. Demetrios A. Theophylactou, Outgoing Cyprus High Commissioner to India, Ministry of Foreign Affairs, Govt. of Cyprus. He is such a wonderful Ambassador of his country ! He went out of the way to make us feel comfortable in a new country. Since my colleague, Mr Smarajit Purkayastha (Asst. Director General of The Bengal Chamber) & myself went to Cyprus for the first time, Mr. Theophylactou received us at the airport at Nicosia and drove us to the hotel, where we received a very warm V.I.P. welcome. Despite it being the Easter Holidays in Cyprus, he fixed up many appointments for us with the concerned persons of many organizations and personally drove us to them in his own car. He also attended the meetings with us as most of the dignitaries we met were known to him. He even took us sight-seeing and took us to visit his home on the sea-side. Finally, he dropped us at the airport for our flight back to India. I have come across many people throughout the world, but Mr. Demetrios A. Theophylactou is certainly one of the best of them all. May God bless him. There is another very special gentleman, Mr. Tharadol Thongruang, of The Royal Thai Embassy in New Delhi. He is working tirelessly for the increase of the economic & Trade relations between Thailand and India. His immense cooperation and support has helped us a lot in getting participation from the companies of Thailand in our Fairs. God bless him too.